Climbing plants are a great way to enhance your butterfly garden. 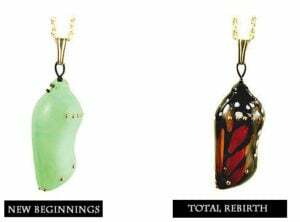 They create more space, add ambience, and can be attention-grabbers for all sorts of butterflies. Vertical gardening requires more prep work, but the results can be spectacular. Since trellises and arbors add space, think of these garden structures as bonus opportunities for attracting other pollinators…butterfly vines can also add more beauty and fragrance to your surroundings. Some of your options are host plants for caterpillars, which could potentially leave an arbor or trellis naked by seasons end. If this is an issue, try a nectar vine option instead. Please Cover Me with Vines and Butterflies! This species of pipe can be grown in USDA hardiness zones 4a-8b. 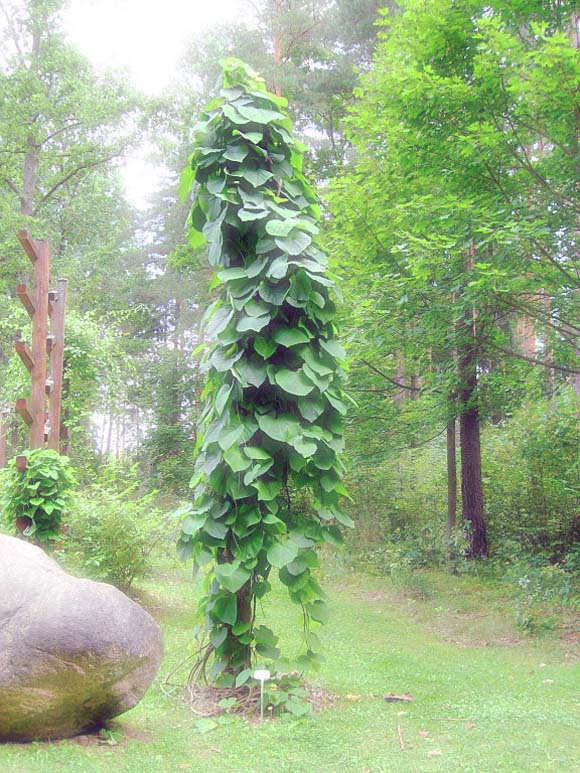 The heart shaped green foliage fills trellises and arbors growing up to 20 feet high and 15 feet wide. This species of pipe can be grown in USDA hardiness zones 5a-8b. 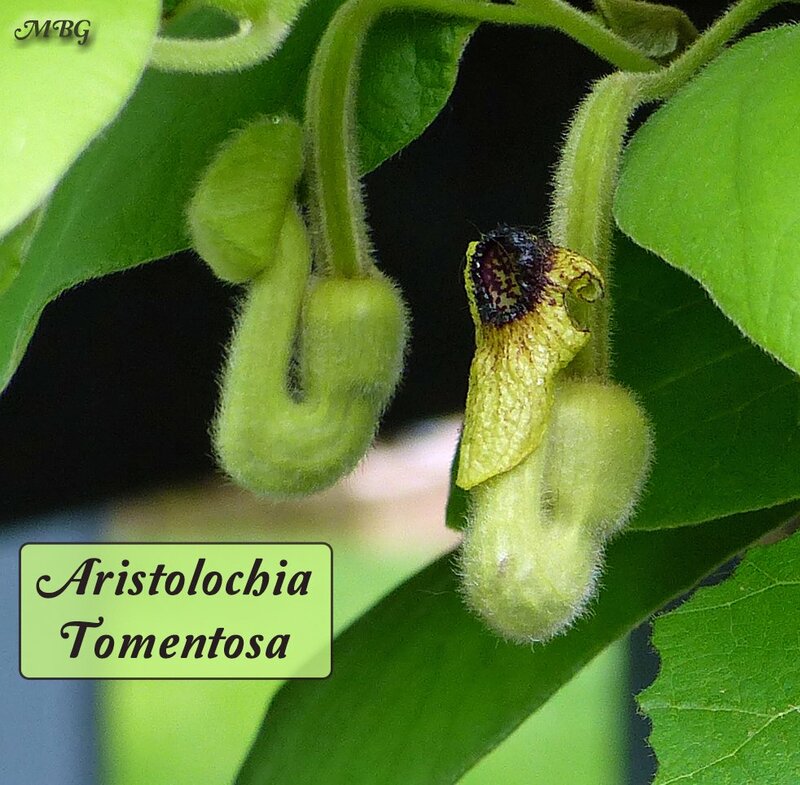 This native vine blooms profusely each spring and offers up lots of succulent leaves for the pipevine caterpillars. This climbing giant can get up to 30 feet high. This hardy passionflower vine is hardy to zone 5a…I would mulch well in colder zones to insure survival. This plant can potentially be invasive if not kept in check. In zone 5a, we overwinter our plant indoors by a south facing window. It is a vigorous grower, even in our northern garden. This is probably the nectar butterfly vine for attracting monarchs. It can only be grown as a perennial in USDA hardiness zones 9-11, but it can be overwintered in colder regions. 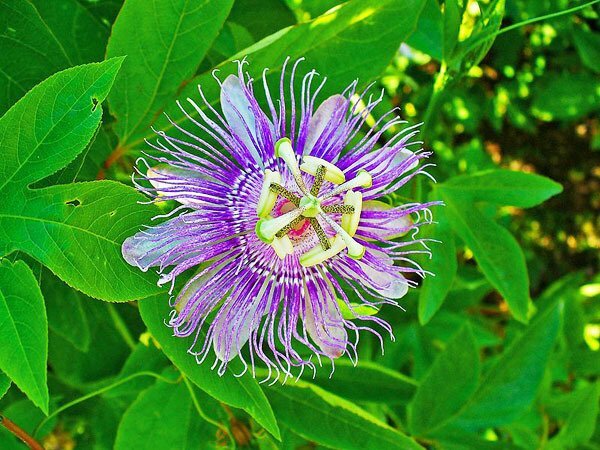 This climbing flower attracts monarchs, queens, sulphurs, and gulf frits. It blooms the entire summer. This native milkweed vine can be grown in hardiness zones 4a-9b. 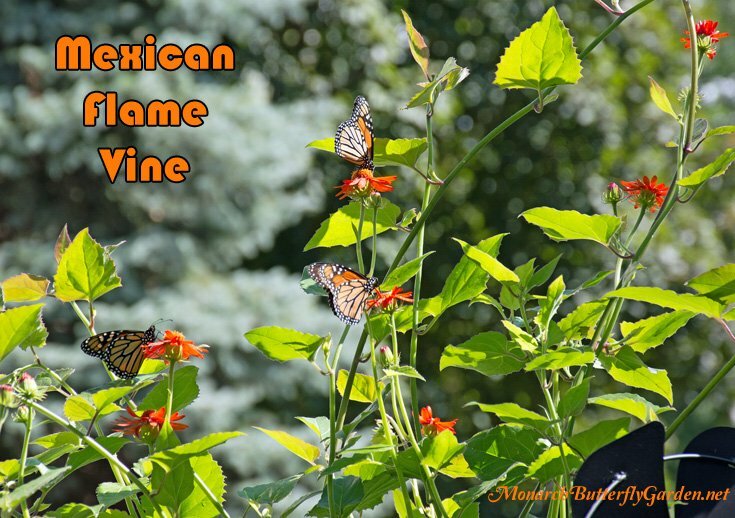 It’s also the only vine that has been regularly reported as a monarch host plant. That being said, many have reported it to be highly invasive. I haven’t personally grown this, but would suggest trying it in a pot, and cutting off all seed pods before they burst open in fall. There are milkweed varieties that are better options if you prefer less invasive butterfly plants. Check out our resources page for more climbing plants supplies. Please comment below if you have favorite butterfly climbing plants I forgot to include. Share your knowledge so other gardeners can bring home the butterflies too…thanks! 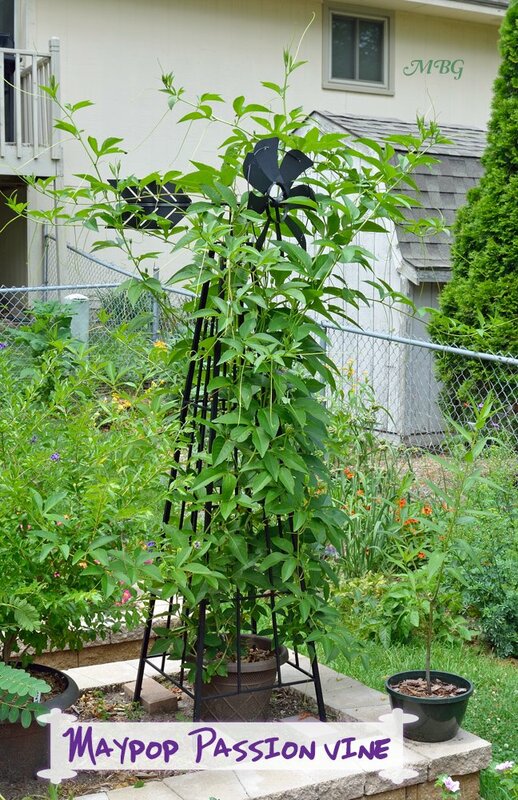 I have been busy making plans for my waystation this upcoming spring and have decided to cover the lattice and rails of my tall deck with a climbing vine that will provide nectar for Monarchs. I really like the look of Clematis vines, specifically Clematis Niobe because its size is perfect for the area I have and I like the deep red colors of its flowers. I have been doing research on Clematis vines for a few weeks now and have been finding conflicting information about them as nectar plants. Most sites say that Clematis Niobe attracts butterflies and hummingbirds but I have read some sites say that Clematis vines only produce pollen and do not produce nectar. My main question is: Do you know if clematis vines are a successful monarch nectaring plant? Any help is always appreciated and once again keep up the great work! I am curious about the safety of acquiring Honeyvine Milkweed roots from an orange grove. They are sprayed with pesticides, so I wouldn’t use the existing vine, but wonder if starting from just the roots would be safe. They grow like crazy in the orange groves and are quite invasive. I am in Zone 9b. I also have a great source for buying safe tropical milkweed, but it gets rather expensive. 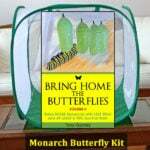 I just started this adventure in rearing Monarchs in early Dec., and just released number 24! Thanks for any advice. I have this “weed” I frustratedly pull up all year from my front landscaping, it survived after we had weed blocker laid down and a lot a lot of gravel dumped on top of that. After having twins I neglected to pull it frequently enough and it started to grow up the stair railing and has just really really spread long story short … as we are coming home from a butterfly festival my 9 year old declares oh look mom that’s a pipe vine and those are butterfly eggs I just learned about. She is beyond excited and checked it everyday and sure enough we now have about 5-10 monarch caterpillars (I think). Ok so, finally my question. My daughter is over the Moon and wants to keep it but I need to move it. The bees and other bugs it attracts to our front door (literally it started trying to grow inside the door frame) are just not ok so I plan on growing it else where in the yard. Is it best to plant in the fall or spring?? Should I harvest and plant seeds or transplant tree vine inself?? How do I go about completely removing it from its current location?? My 9 year old really wants to start a butterfly garden so I am slowly trying to educate myself on the topic 😳🙈 your website has been very helpful. 👍😊 thank you! Thanks in advance for any advice you can give me on my passion flower. I have a very large plant that is healthy and rambling over my porch railing. It even has fruit. Now the bad news. I have at least 10 Assassin bugs on it. They are orange bodied, black leg insects. I know they will eat the gulf fritillary caterpillars. I live in Coastal South Carolina and have plenty of anoles on my porch. Will the anoles eat the assassin bugs? Should I attempt to move them to my vegetable garden? I just welcomed my first fritillary the other day and grow this host plant specifically for it and I don’t want it to be the buffet table for the assassins. Thanks again. Hi Lorraine, lizards eat caterpillars too. There are so many potential predators it’s too hard to keep up. My best advice is to plant a variety of host plants in different areas of your yard and garden so some go undetected by predators. Raising a few indoors can boost butterfly numbers too…good luck! The honeyvine milkweeds I grew from seeds last year are continuing to send up strong new shoots farther and farther away from the original plants. So it spreads aggressively underground. 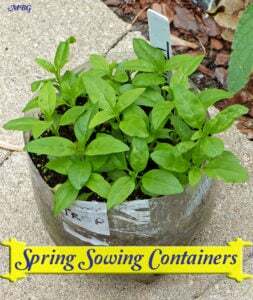 Keep that in mind if you plant it in your garden; just keeping the pods picked off might not be enough to control it. I’m going to dig up one of the plants that’s coming up in my neighbors lawn and put it in a pot to see how they do in containers. The honeyvines that I planted from seeds last year have come back (yay!) and apparently they run underground like common milkweed because they are coming up almost a foot away from where the two original plants were. Those two plants are now a dozen, and more are still coming up. The new shoots are strong and vigorous; not at all like the first year seedlings (although by the end of the season those covered a small chain link fence) The flowers attracted all kinds of pollinators, and I found a few monarch eggs on the leaves but not many, but there were other native milkweeds nearby. I’m going to dig up a few shoots and see how they do in pots. I collected seeds last year but never got around to planting them to see if they were viable. 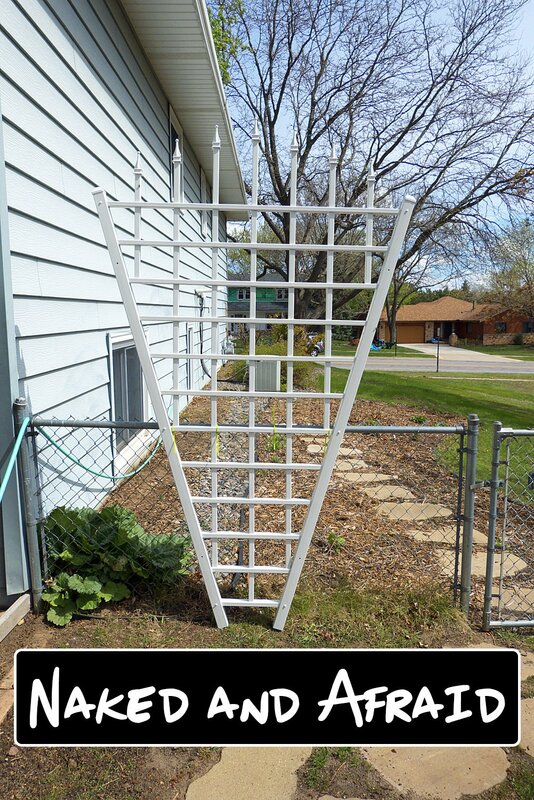 I finally found the perfect trellis for my Cynanchum Laeve seedlings and I got most of them planted today. I have one question that I might loose sleep over, and that is concerning the taproot. I’m aware Cynanchum Laeve has a taproot and I made sure not to damage it while planting. What is worrying me is that I think I left the plant in the pot for a little too long, and the taproot started growing sideways after hitting the bottom about 2 inches out, but didn’t hit the edge of the pot. Do you think that, even though I planted the seedling with its taproot growing out, the plant will survive? Can the root re-orientate itself to grow downwards? I planted it in the loose and sandy Florida soil and gave it plenty of water. Thank you for any help. I want to maximize the growth of these vines so I can feed many caterpillars. Hi Adam, milkweed is typically pretty resilient. I have not plants C. laeve in Minnesota before, but it sounds like you’ve done everything right for a successful transplant. I don’t know how C. Laeve will do in Florida, but the plants don’t seem to like being transplanted. But that just meant mine grew slowly for a month before they took off like the weeds that they are. The taproot will find its way down, don’t worry about that. BTW, the blooms smell like honeysuckle. It’s not real strong, but it’s nice. 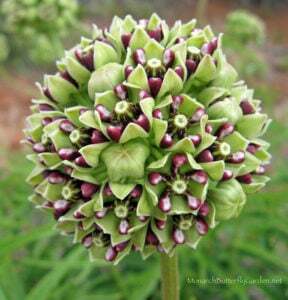 where can I purchase a honeyvine milkweed plant?